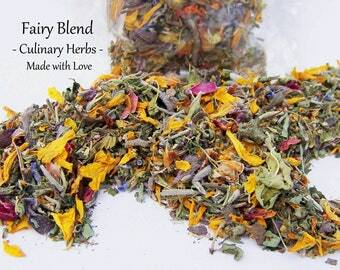 Choose your own herb, spice or veggie, All RAW, Sun-dried, organically grown, hand-harvested. All in compostable cello bags as pictured. Label in picture is business card size. 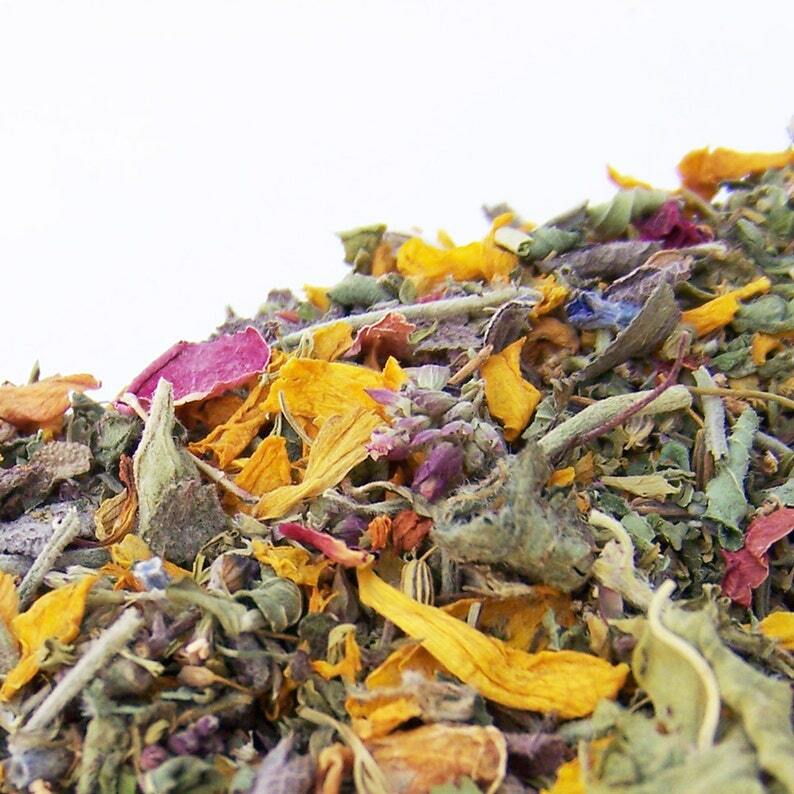 This month: Basil, Spearmint, Tarragon, Oregano, Kale, Comfrey, Mullein, Whole Chili, Apple Mint, Chocolate Mint, Fairy Blend Mixed herb and flower culinary/tea blend, Red Raspberry leaf, Yarrow (flower & leaf). All 15 - 60g .... in biodegradable, plastic-free cellulose bags. Sun-drying is the oldest natural method of food storage on our Earth, with a zero carbon footprint, dried veggies and herbs hold their nutrient levels well and can be used in herbal teas, soups, salads, pastas and more. Just add water or soak in your soups and sauces to rehydrate. Greens retain a pleasant "al dente" real food texture, much preferable to their mushy, frozen counterparts. 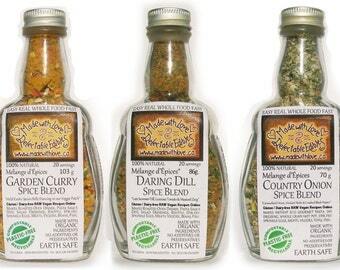 Great for cooking, teas, smoothies or nutritional supplements. Whole, ground or rubbed as desired. These herbs & veggies are an offering from our organically grown gardens & greenhouse. Our own herbs & veggies make up a small percentage of our grocery products. We know and embrace the work and love of growing and preserving our foods. Honouring this first-hand experience, at Made with Love, we work hard to help farmers realize a secure and happy future, where they have the breathing space to lovingly tend our earth & grow our food joyfully, imbuing it with the vibrational healing energy of love. We are consciously growing what all our hearts are yearning for, Local, Hand-grown, Hand-dried, Sun - infused, Organic foods Made with Love. As we grow our business, we move more of our buying into small scale organic farmers, supporting sustainable organic agriculture in North America and fair trade direct with farmers in India and Africa. The Earth Safe Oregano we grow in our own organic gardens, costs $60-80/lb to hand harvest, sun dry and rub at minimum wages. Certified Organic Oregano cost $5-10/lb in 50 lb cases. We feel it is time to start the conversation around these non-sustainable global food costs. We welcome payment directly with Visa or MC by phone to 250 554 5031 or by email money transfer. Our Motto: Happy Healthy People on a Happy Healthy Planet! Thank-you for your conscious spending! Together we are changing our world.